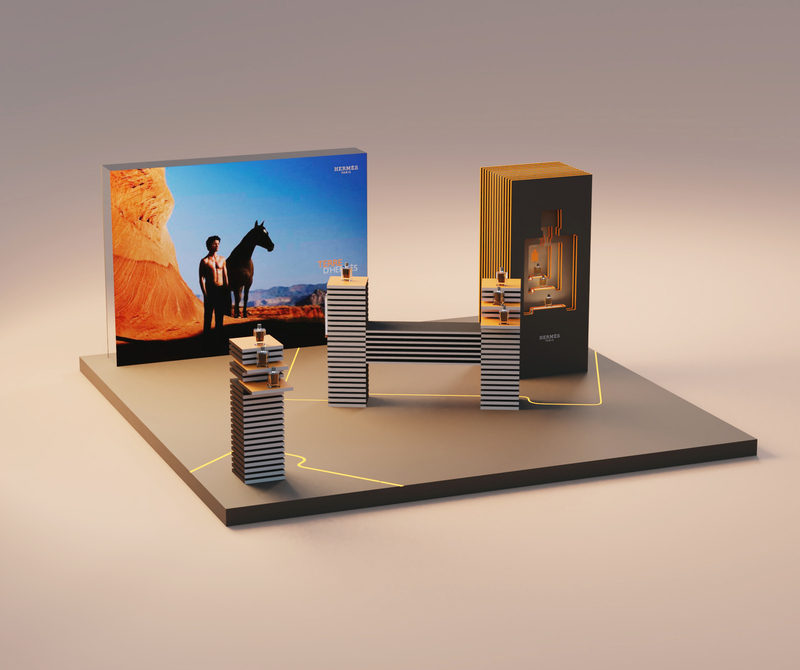 Preliminary 3D views made during the conception of a podium for the Terre d'Hermès perfume. 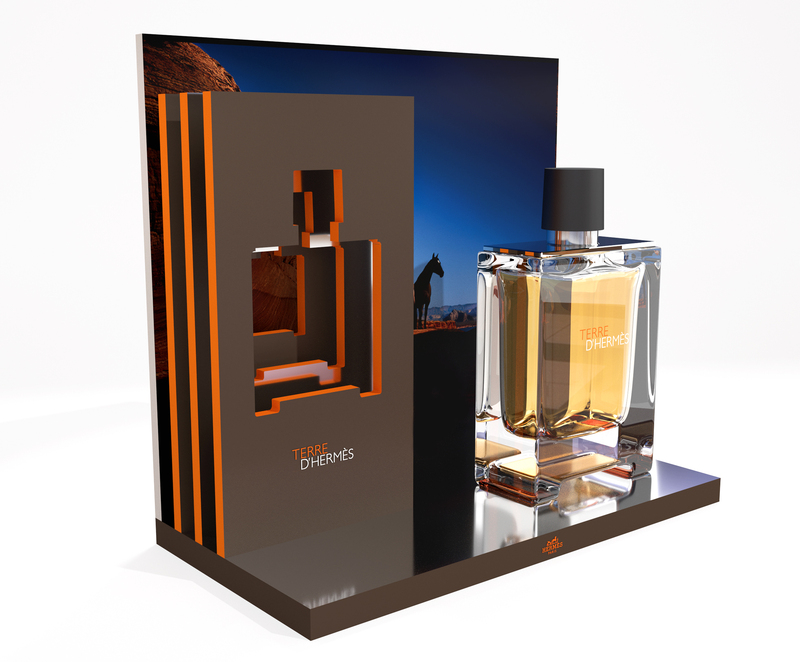 Renders are meant to illustrate the different visual leads developped by the agency. 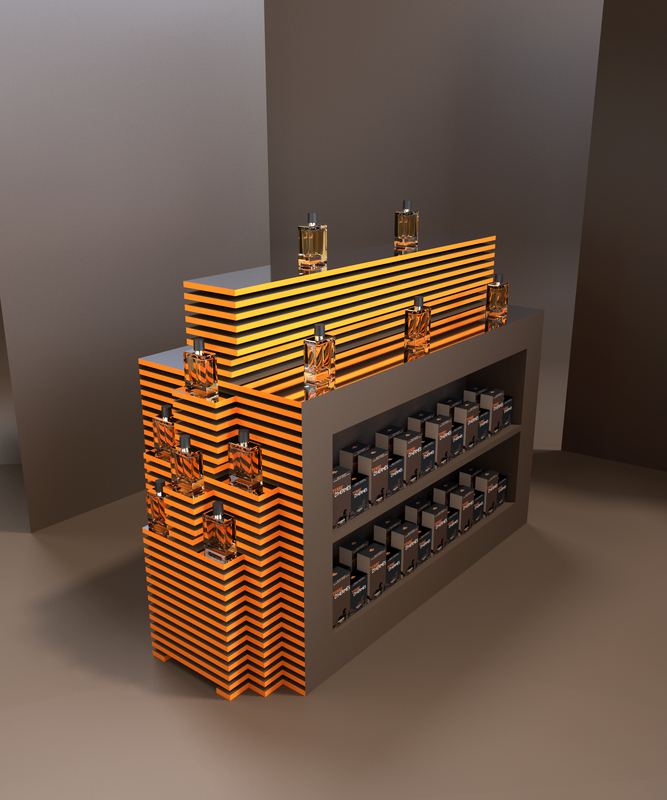 The scene is prepared in Sketchup, and the more definitive leads are reworked in Blender to quickly achieve a realistic render. Absolute flexibility is required all along, so that any element can be adjusted at any time, depending on the creative decisions.